If rumors are true, then you should expect to see Microsoft Office for iPad in Q2 of this year – much earlier than the Q3/Q4 deadline we’ve been told before. The Microsoft software is likely being developed as part of a subscription based service with Office 365 and OneDrive, much like the iOS app for iPhone. 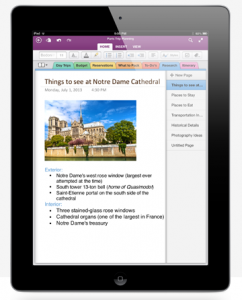 Microsoft Office for iPhone was released in June of 2013, but most users might find an iPad version more accessible for work. The larger screen, coupled with larger typing surface will make working on documents and presentations much easier than a smartphone. As more users and companies switch to tablets for working on the go, Microsoft Office will likely resume its role as the default word processor and presentation tool.